A guide for the month of July in Persona 5. Includes a step by step guide for each day so that players can make the most of their limited time. The start of July initiates with a highly congested subway ride. The first half of the month continues with school activities as the protagonist has some studying to catch up on before the approaching Examinations. Be sure to study well with your friends before the Term Exam to avoid flunking. Fortunately, the latter half marks the Summer Festival, which provides temporary respite. Before you close the book though, take the time to nurture the relationship with your friends. You will explore a Palace this month. For the Palace’s full walkthrough, click here. DISCLAIMER: For those who are wondering, we used the format of KillScottKill from Gamefaqs and compiled the information from both our Japanese guide from Gamy.jp and the gamefaqs. Magician and Fool Confidant Rank Up! Read message from Yuki Mishima, Moon Confidant. then He was boiled alive. Question 1: It’s not related to crabs. Spend time with Sadayo Kawakami, Temperance Confidant. Spend time with Chihaya Mifune, Fortune Confidant. Spend time with a confidant to deepen bond. or Explore Mementos and Clear missions/requests. The ‘Method for Calming the Mind’ book your supposed to purchase on 7/6 is called ‘Tidying the Heart’ ! I do not have the option to slack in class and read on 7/6. How is he leveling the confidants up by seeing them ones? 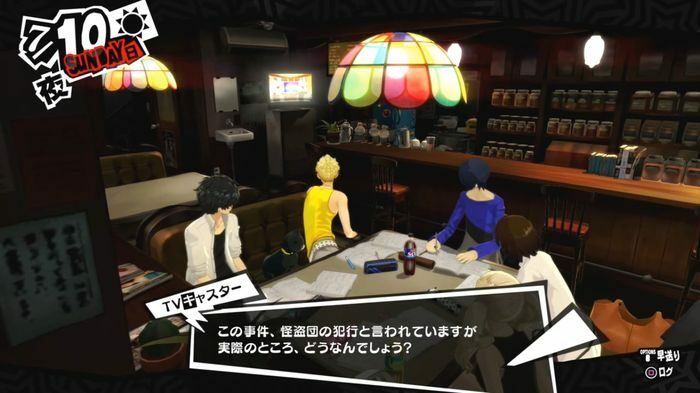 You need to have the arcana for that confidant whenever you hang out with them to level up faster. So for Chihaya for example you would need to make sure you have a fortune persona before hanging out with her. The book called “Threat of Medjed” here is actually named “Medjed Menace” in the game. It’s just a small detail, but if you wanna update it ???? Hi Oni, we have updated it, thank you for the correction.